Traffic is expensive, no one knows it better than an entrepreneur. You spend hundreds of dollars and hours of precious time on Facebook advertisements to bring people face to face with your product, and just as they land, they bounce off. But before you throw your hands down and close shop, we have a proposal: a little something that can have a tremendous impact on the amount of time visitors spend on your product page and the amount of money. 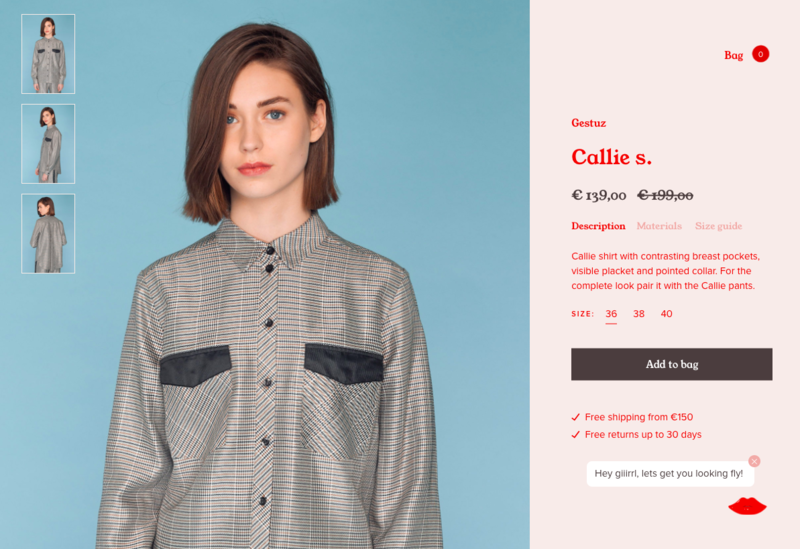 While the basic rules of creating an optimal product page are fairly common, ranging from adding clear calls to action to writing great product descriptions, today, we will be focusing on some lesser-known improvements for your product page! Guess what 56% people do immediately upon landing on a product page. Yep. Scan the photos. We all do it: and no wonder, our brains process images 60,000 times faster than text. Educators were on to something when they shifted to visual media! In fact, 18-20% of the entire time spent on the product page is dedicated to the product images. 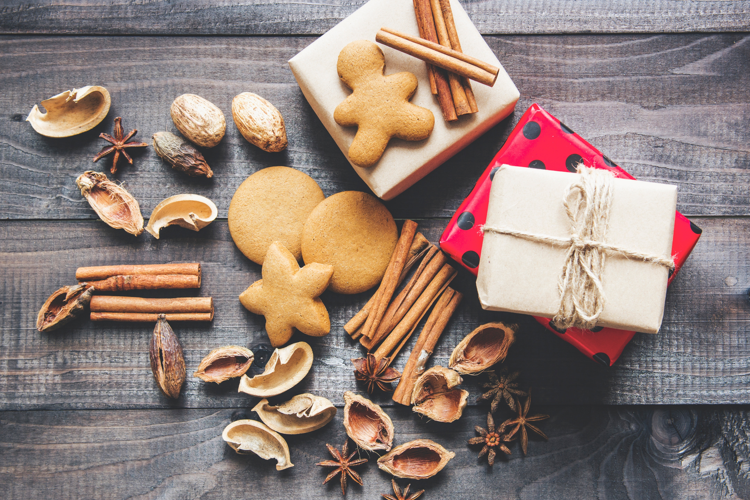 Research conducted by ClickZ reveals that product images receive most attention! But what does that mean for your online store? This means your images hold the power to enthral or repulse the customer. You NEED high-quality photos demonstrating the product’s use. 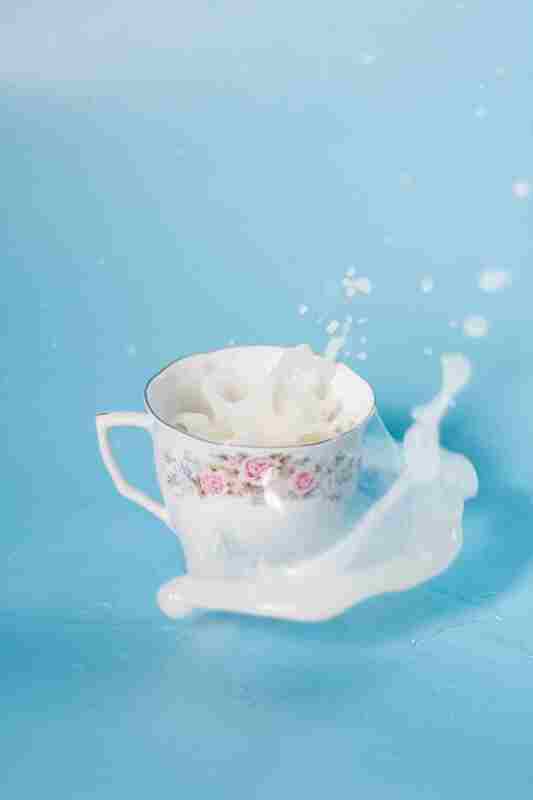 You need to go beyond the limitations of photos. The limitations of photos are that they need to convey a tonne of information about the product...all through the visual means. But there’s a hack. Do you know why infographics work? Because they trick our brains into thinking that the text is a part of the image. Information: visualised. Your e-commerce website can slam the best of both worlds together to have photos with explanatory text on it. It’s easy, and it’s effective. The questions are answered before we can ask them! 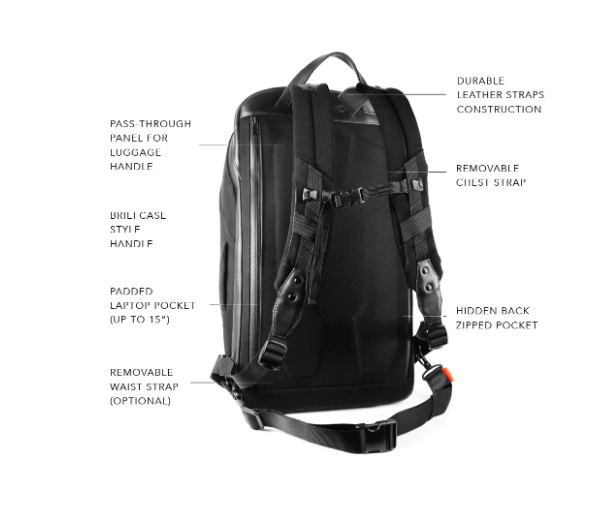 We also love how itr Studio displays the qualities of their 5 in 1 backpack! Small features that play a big impact in buying decisions! 52% ecommerce businesses do NOT do this, so get working and lead the way! In case you need our advice with editing tools that allow you to add snippets of text to your images, Canva, Stencil and Fotor are our picks! This will ensure all the amazing features of your product pop out and catch the eye of your customers! Do I need to elaborate on how it boosts your conversion rate? If there is one thing we absolutely despise, it is copy-pasted product descriptions. If you wish to build a brand, and come up as a respectable name in your business, you have to invest in your e-commerce product pages. This may be informative, but so were my SAT textbooks. Doesn't make it any more alluring. 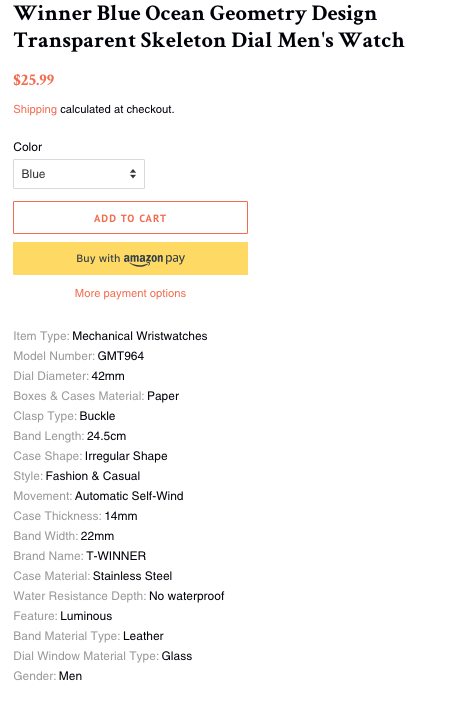 While this is easy to scan, there are better ways to write product descriptions--and no, we’re not just talking about fancy language: we’re speaking about accessible product descriptions that convert a visitor. This works...but it is boring. Users love the razzle-dazzle! Engagement shoots off the charts with a highlights based description, but believe it or not, 78% people do not employ it! 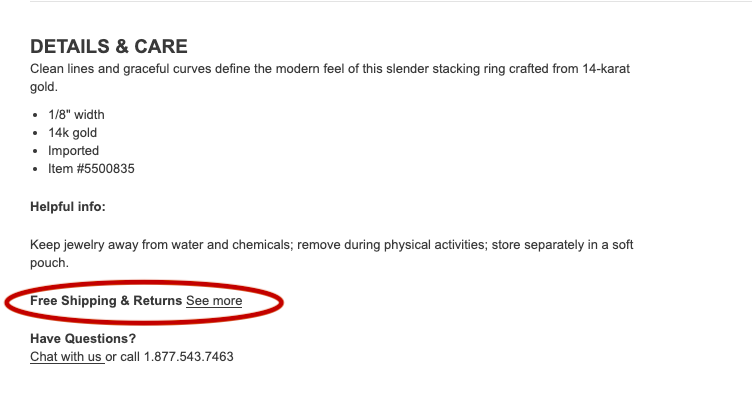 This product description for a watch highlights all the core features of the product, making it easy for the user to learn important details of the product, such as what the strap is made of and where the product is water-proof. For all the features of your product that you think are great selling points or essential pieces of information before you yourself would buy a product, make headlines out of them. In fact, ditch the old, frequently used format for product descriptions and try to create a single page dedicated to selling the product: high quality pictures paired with well-worded feature highlights. OnePlus, the mobile phone company, showcases the reasons why the phone is an excellent purchase by using ample space to explain a feature. Do not allow this space to be taken over by partner products when you can utilise it to advertise products similar to the product on display. Customers may come from different directions with a vague idea of what they really want to buy: a jacket for winter-y trips from office to home. 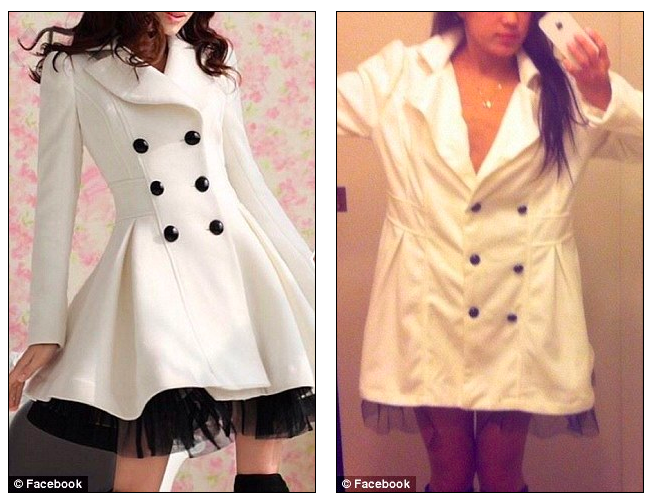 At this point, any jacket that they find upon scrolling may be the object they click on. Now, of course, the customer is looking for something that is similar to the product they have actually landed on--so the best course of action to ensure the customer makes a purchase would be to recommend products that are akin to the jacket they are looking at! Alternate products make it easier for your customers to find the right product, and make a purchase without having to go over your entire catalogue. Alternate products and supplementary products serve entirely different purposes and we suggest you showcase both on your product page. The reason is that while alternate product recommendations do a great job helping your customer hone in on the main product they need to buy--supplementary products are an opportunity to cross-selll. Supplementary products also allow you to display the vastness of your catalogue to the customer: awareness of all the types of products you sell helps them understand your brand better. As an illustrative example, let us go back to the jacket. Supplementary products generally fit in with the broader category as the major product: here, it could be winter wear. A scarf or gloves might be extremely relevant, yet diverse products to recommend. 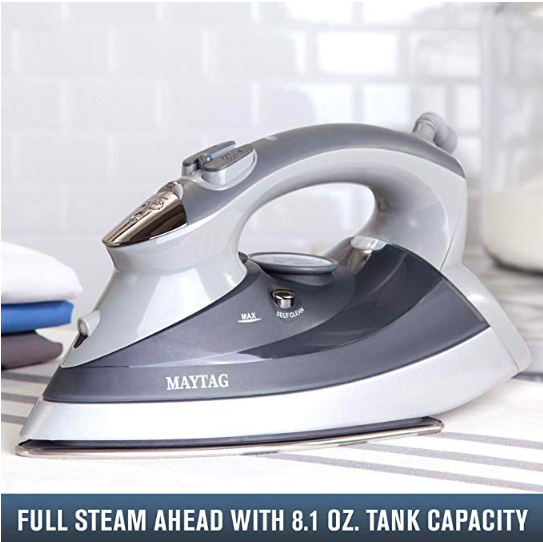 These fall into the main category, but also show your customer the range of clothing and accessories you have available. Pandora, the jewellery brand, does a great job at this. For a pendant, you can view a ‘You may also like’ section, where you can look at alternate pendants, and a ‘Frequently bought together’ section, where rings are displayed. Only about 42% e-commerce companies get this right: you need BOTH, supplementary and alternate products to optimise your conversion rate. The customer should not experience fatigue hunting for the right product, and should have an opportunity to purchase a package that serves all their needs at the moment. This is especially true for stores selling homeware, electronics and jewellery. Add-ons can also have extra discounts to make them appear appealing: but the trick is the balance between relevance and variety. While supplementary products are cross-category sells, they need to make sense to the customer. A phone charger being displayed as a supplementary product on the product page for a laptop would not necessarily be the best recommendation! When you use supplier-provided product descriptions, a glitch in the matrix of your store is created. Information is flung at random, and scattered all over your page: with dropshipping, the format of each of your product descriptions is different, which means if a customer needs to find the material used in the product, they will need to hunt for it—every time. This gets frustrating really quickly. When you’re weighing in on the reliability of a store, one thing of utmost importance is consistency. 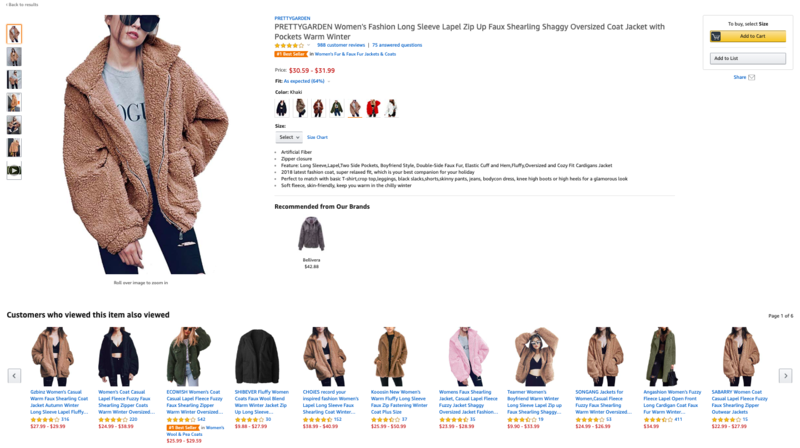 All product pages should have the necessary information present in the same place: the customer should not need to search for the product dimensions or usability instructions when comparing two products. Upon search, the product dimensions and warranty information were found buried in the product description, which was a great chunk of text. This friction causes customers to be wary of purchasing from your store: and while it is an extra bit of effort, it is 100% worth the trouble. Streamline your product descriptions, with every product consistently showing information in the right place. We love how Niche & Cult have organised their product pages. This is the product page for their Sun Protection Milk, neatly divided into 5 sections: Initial introduction with purchase options and price listing, a detailed description with information about manufacturing, the ingredients used and finally, the key selling points of the product ie. why we love it. And here is their product page for their cactus sooting gel: with the same sections in the same place, making finding information child’s play! With Spocket, you have access to the shipping costs of products beforehand: and unless you offer free shipping (if you do, MENTION it on the product page! ), you should make sure the customer is aware of this extra charge. It is not sufficient to add a line about shipping costs in your FAQs—if there’s one thing people value in online retail, it is upfront honesty. 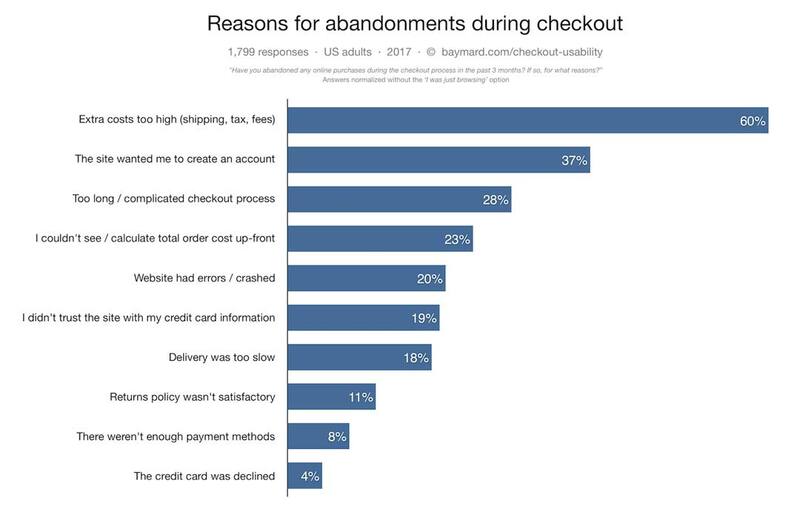 Add an estimated shipping cost to your product page, and your cart abandonment rate will sink: the most common reason for abandoned carts is the high shipping rate that suddenly appears when the customer is checking their chosen product out. Additionally, 23% people leave your site because they were not able to calculate the total cost upfront. Stop wasting your customers’ time and make it obvious. Add a line explaining the international and domestic shipping costs, and if you offer free shipping, let it be known! That is amazing news for a customer, and a banner on the homepage is not cutting it! Announce it on the product page as well! 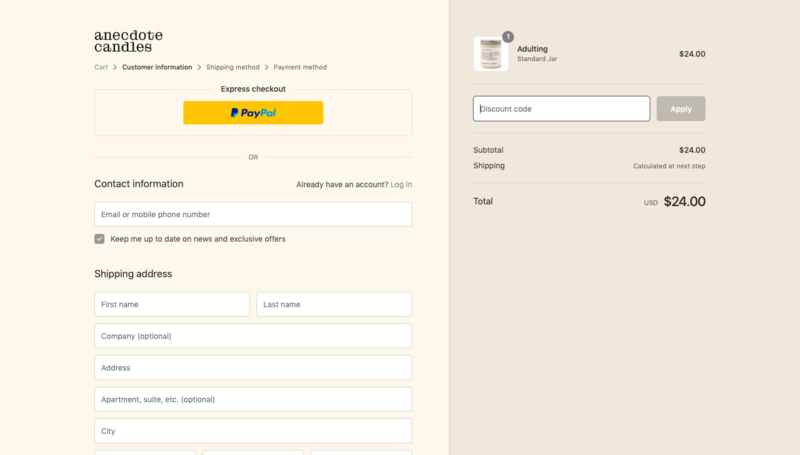 For example, I love Anecdote Candles as a product, but I still do not know what the shipping costs are going to be at stage 3 of selecting a product and checking out. What if shipping is $30--all my effort is wasted! This counts as frustrating user experience. Don’t do it! If you only offer free shipping for orders over a certain price, such as $49, then advertise it thus—don’t mislead your customers with a ‘Free shipping on all orders’ with a tiny asterisk following it, in the banner. The micro-copy on this site is another thing to note! This works like magic. If you have even one or two user images available along with the reviews, your trust score immediately bounces up. 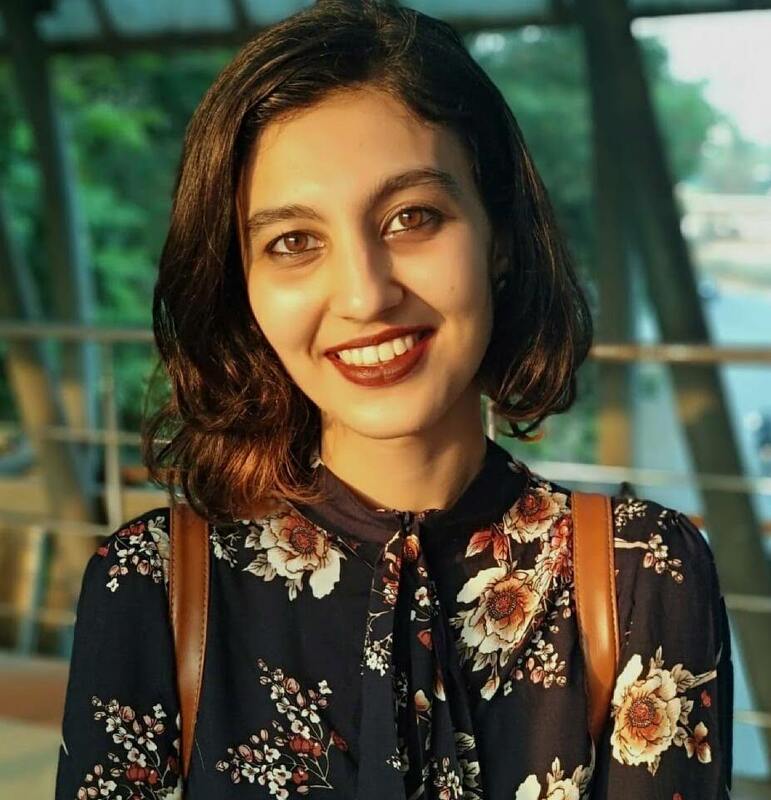 People want to hear from other customers, who might give genuine feedback about the product—and images allow potential customers to view the product as it is, in actuality. This is especially important for apparel business: We all know of horrible disasters of dresses that do not resemble the product advertised at all. It would be perfect...if the product was 4 sizes smaller. User-uploaded images prove to a visitor that your store guarantees that the products displayed are quality-tested and will match the customer’s expectations. This makes checking the size of the product super easy. 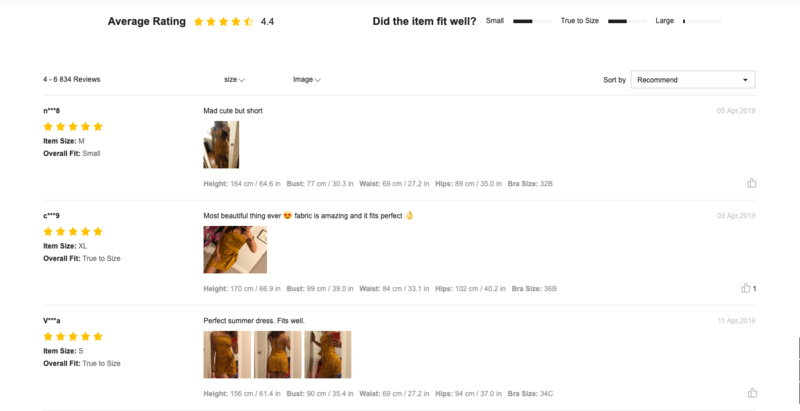 An easy way to obtain reviews for your products is to install a clean, customisable review app on your store, which incentivises customers to add pictures along with their feedback. The customer needs to know that they can return the product if it is not what they expected, or need. Without this safety latch in place, a key piece of trust in missing. 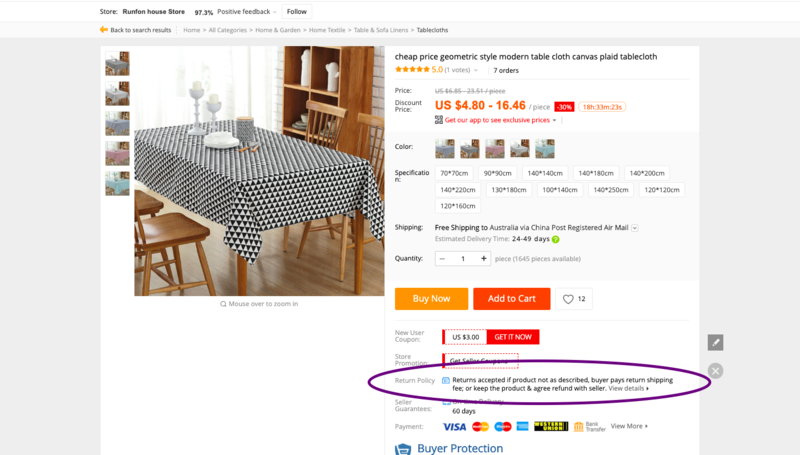 Even AliExpress lets its buyers know that they are protected by the return policy, which ensures that the customer will not be losing money in any scenario. AliExpress might have a 30-day delivery period, but at least I can get a refund without hassle. Honesty is, after all, the best policy. This allows your customers to know that you have processes in place to help them if things go south. The product page is undoubtedly the most important page for your store in terms of conversions: so why not go the extra mile to make it perfect? 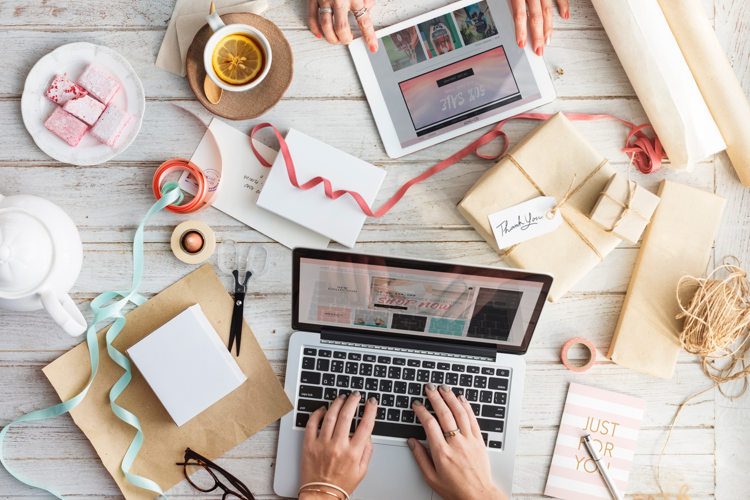 Dropshipping does reduce your extra worries, but in order to achieve success with dropshipping, your online store needs to cater to the audience’s needs and desires. With an optimised product page, you can reach more conversions faster—and the rest will be history!